If not, why not? One of the keys to making sure that your DRE installation runs smoothly without calls to you in the middle of the night is proper training. The on-site staff should have a guide to common diagnostic receivers like swapping out a receiver or remotely wiping it. This is just a basic level of service you’ll need to provide, or else you need to be prepared for a lot of phone calls. The standard operating procedure for DRE installs is to have one extra receiver running all the time in the equipment closet, warmed up and ready to go if there’s a problem somewhere, and most installers will do that. But do you also leave behind an unprogrammed DIRECTV remote? Remember, customers won’t be able to reprogram a remote for a TV or check signal strengths at the receiver without this essential tool. The RC71 remote won’t do it for them, and that’s on purpose. 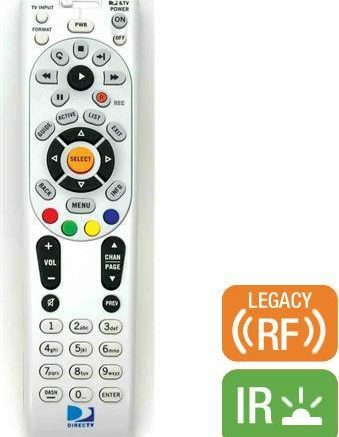 Getting into the special menus on a DRE-enabled receiver takes a regular DIRECTV remote. It’s not that much money and you may be able to put it on the bill for the customer. In fact it’s not a bad idea to give a DIRECTV remote to the chief engineer or hotel manager for his or her desk, as you’re training that person to deal with the basic steps for diagnosing problems.